Home Misc. Corvette News Unearthed: 1972 Corvette 454 With Only 967 Miles! At the tender, young age of 21, Jim Kevan of Pennsylvania lusted after a brand new Corvette because at that time, only a Corvette was able to beat his 1967 Pontiac GTO. So with $6,000, he went down to Grabiak Chevrolet in New Alexandria and purchased a brand new 1972 Corvette 454 convertible with a 4-speed transmission off the showroom floor. Dressed in Bryar Blue with Black interior and a White top (only 1,617 built that year), the 454 convertible wasn’t exactly Kevan’s first choice. As what usually happens to a lot of young Corvette owners – life gets in the way. We get married, buy a house, settle down, have kids, put the kids through college, and at some point, the Corvette either gets sold to help pay the bills, or it gets tucked away in a barn and forgotten about. A similar situation sealed the fate for this 1972 Corvette as Kevan didn’t realize how much it was going to cost to insure it. At $1,200 per year, Kevan couldn’t afford to pay that, so he decided to store the car for four years until he turned 25 and the annual cost would drop to only $400 per year. Unfortunately, four year later, he had a house, a son and a daughter and still couldn’t afford to put the Corvette on the road. Ten years later, a friend suggested that if he just let the car sit, it could be worth a fortune down the road, and that’s what Kevan did. 914 miles later, Vette magazine did a feature article on Kevan’s Corvette a few months ago. As a result, he’s been getting bombarded with calls from around the country with offers, but so far, hasn’t decided what to do with it. Kevan’s Corvette currently has just 967 miles on the odometer. If it were your Corvette, what would you do? Feel free to post your responses below! 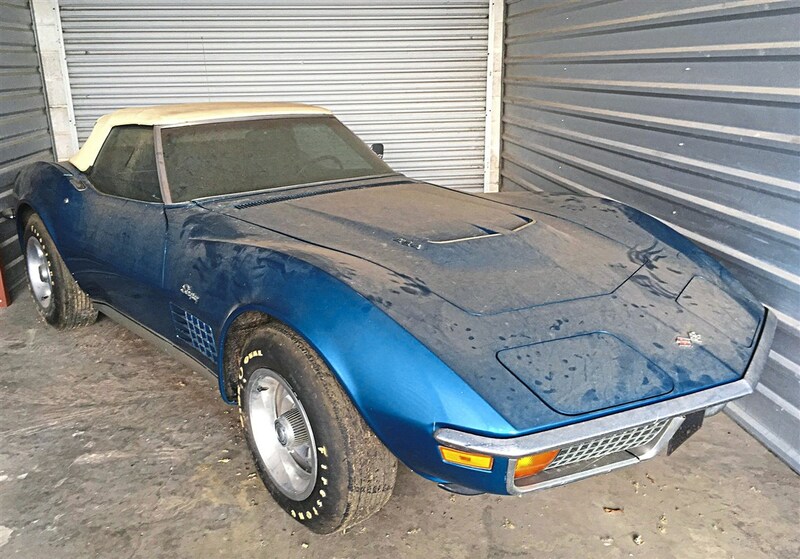 EBAY Find – 1978 Silver Anniversary Corvette with only 4.1 Miles!